Description: Mother-of-pearl luster and undeniably attractive beige-grey patina conspire to build a lot of eye-appeal out of fairly typical mint-state technical considerations. 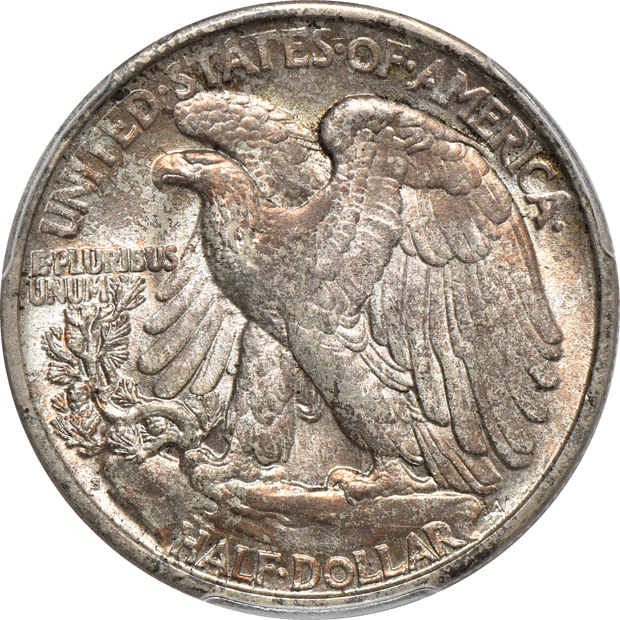 Due to the extensive patina, the cluster of linear contact marks in the obverse right field are not readily apparent, which means the assigned grade seems significantly too low at first glance (it is spot-on accurate, however). 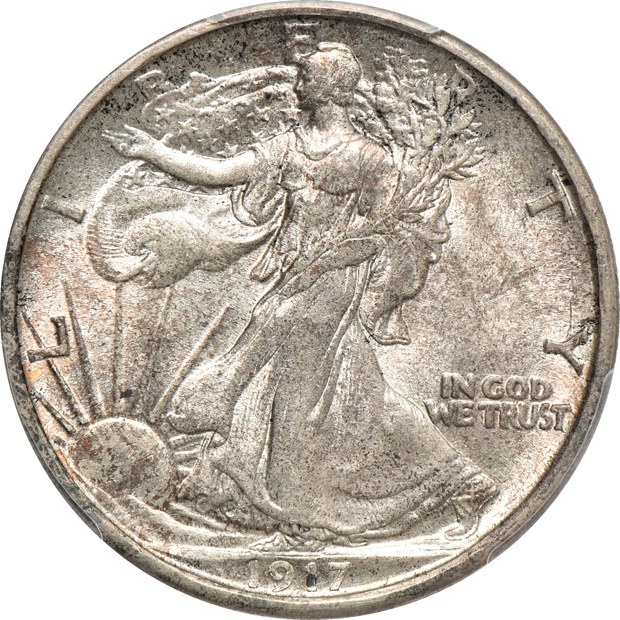 A phenomenally original coin that never needs be upgraded within any first-class collection.